Kayla had to give up being with the love of her life to take care of her broken family. Two years later she still misses Gabe. 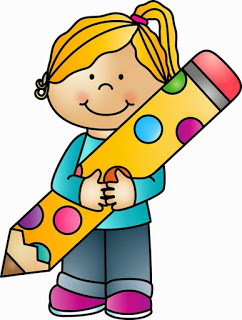 Instead of being a psychologist like she planned, Kayla runs the Bella Cove toy shop. Because the owner of the shop’s good fortune the store is now Kayla’s. It isn’t what she’s always dreamed of, but Kayla’s family needs her and her grandmother made Kayla her successor as matriarch. Kayla manages the family well, but what about her own happiness? When Kayla meets her shop’s new landlord she’s shocked. Gabe has inherited his grandfather’s business and is now the one she rents her building from. Kayla can’t believe Gabe is in Bella Cove, but their reunion isn’t a happy one. Gabe is angry and hasn’t forgiven her for going back to her family while he was ready to get engaged to her. Can Kayla mend their relationship? What will happen when Gabe finds out about Kayla’s family and their problems, can she safely introduce him? Is there a chance to get back together with the love of her life or will she again have to choose between Gabe and her family? Bella Cove is an emotional romantic story. Kayla is responsible, capable and incredibly smart. She helps everyone she loves through every single one of their crises, but sacrifices her own wishes in the process. Her family is quite a mess and Kayla has plenty of problems to solve on a daily basis. She’s under a lot of pressure for someone so young and handles it well. That changes when Gabe arrives in Bella Cove. She’s missed him terribly and still isn’t over their breakup. However, Gabe is rude and unapproachable. His walls are so solid that Kayla can’t seem to break through them, but she isn’t a quitter. She knows what Gabe used to be like and gives him chance after chance. I kept hoping he’d defrost, so he could truly see Kayla and everything she struggles with. I loved how Kayla fights for the man of her dreams and couldn’t turn the pages quickly enough to find out if they’d be together in the end. Rochelle Katzman has a lovely descriptive writing style. I immediately fell in love with her setting, Bella Cove is amazing. It’s a gorgeous dream town with beautiful views, quaint shops and fascinating inhabitants. It’s the ideal location for a romantic story. I enjoyed every single aspect of life in this idyllic town. Kayla and Gabe fit right in and I kept hoping they’d find their way out of the difficult situation they’re in, because it’s clear from the start they have something incredibly special. Bella Cove is a wonderful captivating story that enthralled me from beginning to end. If you love small town romance you don't want to miss Bella Cove. Rochelle Katzman spent her childhood penning stories, and at the age of six, she won two creative writing awards. When she was twenty-two years old, she received her Bachelor of Fine Arts (BFA) in musical theatre from Syracuse University. Rochelle is also an international yoga instructor and a life coach. When she’s not traveling the world teaching workshops or helping women to achieve their dreams, she’s at home writing books. She currently lives in New York, but she’d love to move to a beautiful land filled with ethereal fairies and magical castles. Rochelle enjoys spending time with her dog, Henry, when he’s not eating her favorite shoes. 1) Can you tell our readers a little about yourself? I’ve always been creative. I’m happiest when I’m creating. I won a creative writing award when I was six years old. I’ve acted in off-Broadway shows and received my BFA in musical theatre. I paint when I have the time. I’m also a certified Kundalini yoga, prenatal yoga, and children’s yoga instructor where I’ve created a Mom and Daughter Yoga Program and written books that coincide with the program. I’m a certified life coach, too. I love helping women believe they can live the life they’re meant to live by creating their own destiny. 2) Can you describe the main characters of Bella Cove in seven words or less? 3) Bella Cove is a beautiful setting, can you tell a bit more about it and the inspiration behind it? Thank you! I wish I could live in Bella Cove! My friend owns a toy store in a picturesque town on Long Island. The town is so charming and brings out my creativity. When I started creating Bella Cove in my mind, I envisioned a town similar to that. 4) What do you find the most special about second chance romances? I think so many women have that one man who got away. The one man they regret. I love that Kayla got a second chance at reuniting with Gabe, because so many women dream of getting back together with their true love. 5) You help others to achieve their dreams, how does this work? Aside from writing romances, I’ve been a certified life coach for over ten years. I help women who aren’t living their full potential and need guidance in creating their dreams. Women come to me who struggle finding a man they love, settle with the wrong man, or are not happy in their career. Together, we create goals and action steps in order to make the choices needed to create their ideal life and to feel empowered. Women are extremely powerful, but because of external factors and not realizing their own strength, allow their power to be crushed. 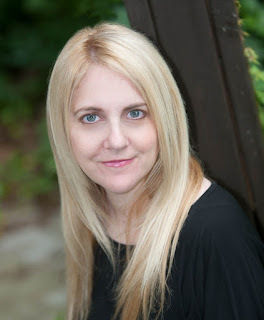 If you’re interested in a private session with me, you can email me at RochelleKatzmanauthor@gmail.com. 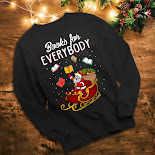 My love from books come from my Mom. When I was younger she would read romance novels. After picking up a few, I got completely hooked into the characters’ worlds. True love is finding someone who you have chemistry and a deep connection with on a physical and emotional level. Someone who supports you and yet is passionate at the same time. 8) You’ve traveled a lot, what’s your most memorable experience and do your journeys influence your writing? I traveled to Ireland to teach my first international Mom and Daughter Yoga Workshop. I had bought a romance novel to read on the plane. That book changed the course of my life. 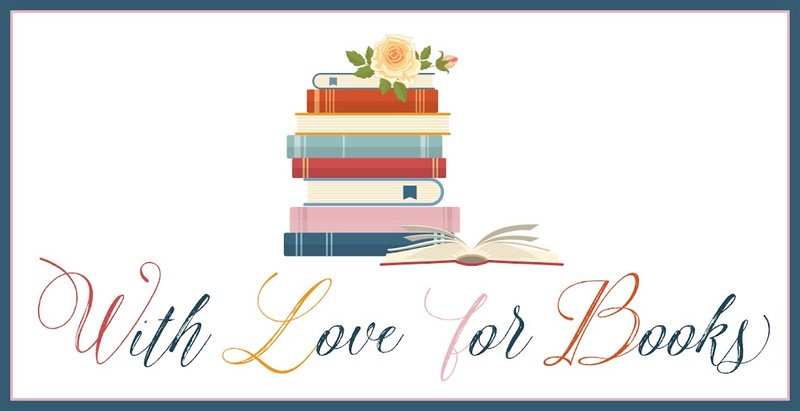 As I was already in the creative zone, I had an epiphany that I was meant to use my creativity and write my own romance novel - Risking Her Heart, my first romance novel with TCK Publishing was born. 9) Can you tell a bit more about your writing, when did you start, what inspired you to write romance and what’s your biggest dream? Writing romance incorporates my life coaching and my creativity aspect. The heroines I write about have real issues. Throughout the story the heroine evolves, learns lessons, and then has her happily-ever-after. For example, in Bella Cove, Kayla has to help her family after their beloved Nana passes away. She chooses to put her family’s needs before her own. But when Gabe shows up in her life again, she has to make different choices in order to win him back. I’m sure there are readers who can relate. Many women tend to put other people’s needs consistently before their own. My wish is to inspire readers, give them hope, and help them make choices that will help them create the life they desire. 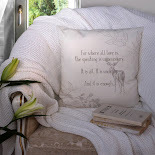 I’m drawn to romance in particular, because I love when stories end happily. I love when women create their ultimate life. I love writing and helping women live the life they wish to live. So, I will continue writing romance novels using life coaching in my stories. And I will continue traveling teaching Mom and Daughter Yoga Workshops to help empower both moms and daughters. I will always have private life coaching clients, because watching women evolve into who they’ve always wanted to be is incredible to be a part of. Two very lucky readers of With Love for Books will receive a paperback copy of Bella Cove by Rochelle Katzman. This sounds like an enthralling read, I do hope it has a happy ending. 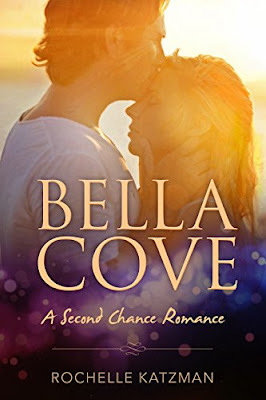 Bella Cove sound like a sweet love story of two people that fate tore apart and then brought back together years later. It sounds like a gorgeous setting for a book. Great review and interview, thank you. I think your book would be great to read at the beach. Do you explore the areas you travel in? What is the farthest you have been? Thank you for this awesome interview! I love the idea of having life coaching in a ficton book! Love the cover! Thank you for the interview. Sounds a great read of "second chances". Love the idea of Kayla working in a toy shop too. You should move to Ireland, Rochelle. Fairies and 'little folk' abound as do castles!